American Moving and Storage is a professional moving & storage company that is owned by military veterans and we take pride in our work! If you need storage that's no problem we can move you into our storage unit and move you back out when your ready. When it comes to moving no job is too big or too small, we own a 26' box truck for big moves and have a small box truck for smaller jobs. With American Moving and Storage you will always get experienced movers that has the proper training and tools to move you're belongings safely and efficiently and we will always have more than enough furniture pads to wrap you're furniture in and keep safe during transport. We will make you're move as stress free as possible! We specialize in: full service moving local & long distance, moving piano's, furniture pick up & delivery, in house furniture moving, packing and unpacking help, house cleaning & any kind of clutter removal! Discounts: We offer military and senior discounts & FREE delivery of packing supplies to your house! 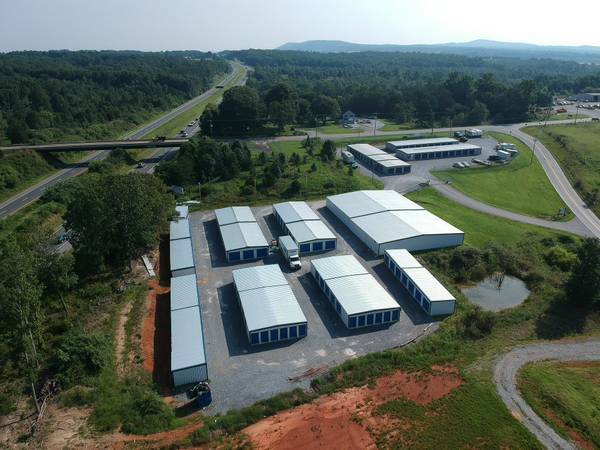 Storage units: We have secure, safe climate & non-climate control units from 5x10 up to 10x30 and always have the best rates in town & RV, trailer, boat parking starting at $25 a month. We are proud to have ZERO break ins or thefts on our property since we opened in 2013. Cleaning: Don't have time to clean your old place once you move out or your new place before you move? Don't stress we would be happy to clean for you so you don't have too! Clutter removal: If you have clutter or anything unwanted from a few boxes to a whole house we can help! We can take your unwanted goods to the goodwill or dump. Movers you can trust: We are the most trusted local moving company in Lynchburg. Because they know we provide excellent customer service and superior service many other businesses and realtors use us exclusively and refer us such as: Legacy apartments, High Cotton, Jimmy Miller, Valley View retirement home, Sheena Frost, Next Time consignment, West Minster retirement Home, On 2nd Thought Consignment just to name a few. Unlike most people advertising we are licensed, bonded, insured and carry workers comp insurance! All of our movers are employee's! Moving tips: Make sure who ever you hire you can trust to be in your house. Unfortunately there are a lot of rogue operations that give movers a bad name so whoever you hire make sure they are licensed, bonded & carry workers comp. if you hire someone not licensed and bonded and they get hurt in your house under Virginia law you are responsible for their medical bills and more!